Unfortunately your stair has a specific configuration that we can’t completely set up in StairDesigner. The inner strings and handrails that move around the inner wall can’t be set up. StairDesigner is useful to give rough calculations but a lot of details will have to be drawn in CAD from the StairDesigner DXF files. Winders at the top of a stair are always dangerous and to be avoided if at all possible. This will make for a much safer stair. 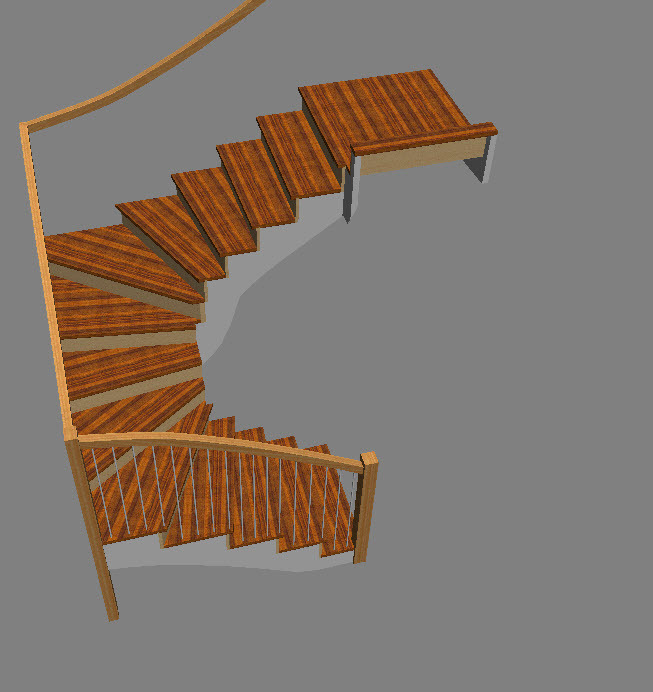 I attach a StairDesigner model that does the rough calculations, be warned that you’ll need to do quite a lot of CAD drafting on it to design the details. 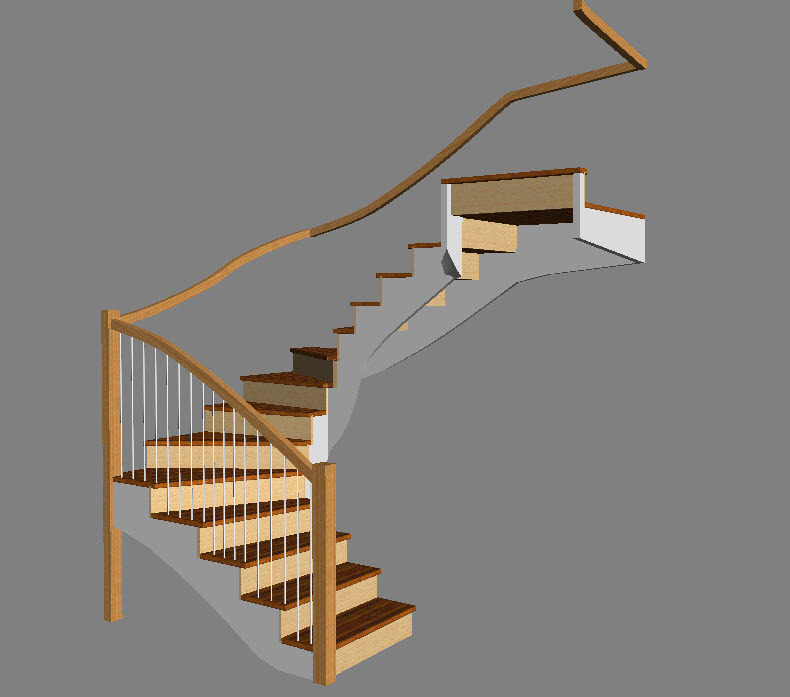 If you use a StairFile you can do this using our free CAD Draftsight that you can down load from the members software resources area. Note also that the left handrail is optional on the last flights. I can do this for you but will have to charge you the time I spend. I am currently in the middle of an extension and have undertaken to build the staircase – I have about 2 weeks before it needs to be installed !!! hence I have just signed up and I’m looking for some help. I’m attaching a rough plan of the area the stairs will go in and my attempt at drawing the stairs. The biggest problem I have is that I need to put a 90 degree wind at the top of the stairs in a relatively confined space. Otherwise I plan to build the stairs from laminated pine cut strings, 3 strings per flight. The treads and risers will be douglas fir and I want to see the zig-zag profile on the open side – with a stud wall underneath and plasterboard and skim finish up to the tread/risers. Newels and hand-rail will also be douglas fir with painted pine spindles. The space has not yet been fully built so I can only put theoretical measurements but they should be close – subject to the builder. I’m hoping you can help me by giving me a file for the software to get me started. I might also be interested in your bespoke service.